Luang Prabang is quite the tourist hotspot in Laos these days and if you ever get the chance to spend a full day in Luang Prabang, you will definitely understand why! Luang Prabang is an incredibly beautiful city that remains authentic and traditional sleepy Laos charm in a modern world. 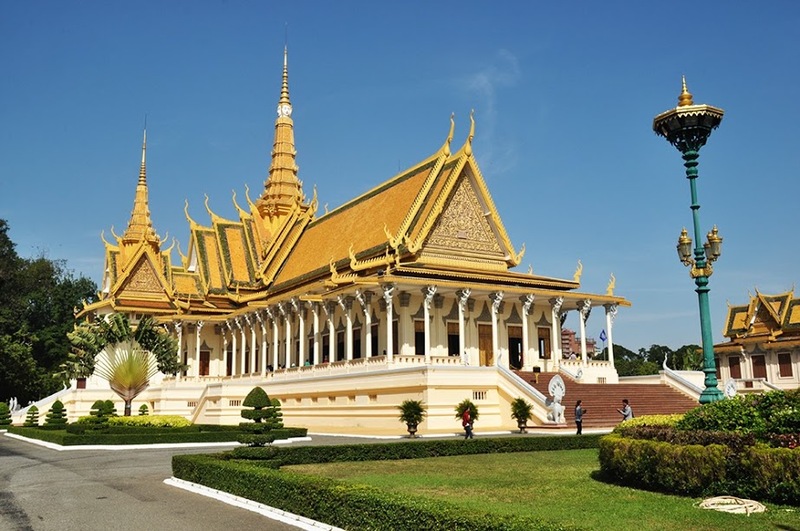 The architecture is absolutely stunning with a noticeable impact of the French colonial style, the food is mouth-wateringly delicious, and the monuments are awe-inspiring. 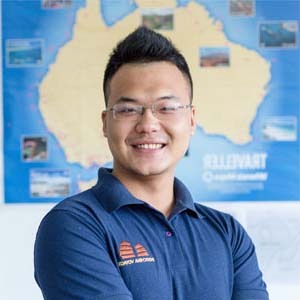 It is a Northern Lao city that a lot of people fall in love with, charmed by its unbelievable beauty.Traveling to Luang Prabang with only one day to explore? It can be difficult to decide what to do with such limited time in your schedule. Fortunately, we have put together a one day in Luang Prabang walking tour itinerary to help you make the most of your precious time in this beautiful city. However, if you wanted to stay for longer than that, no one would blame you. A guided tour or tuk-tuk can be a great idea to help see more of Luang Prabang in such a short time but do not let this take up your whole day. There is much more to Luang Prabang than just looking at monuments and visiting tourist attractions. 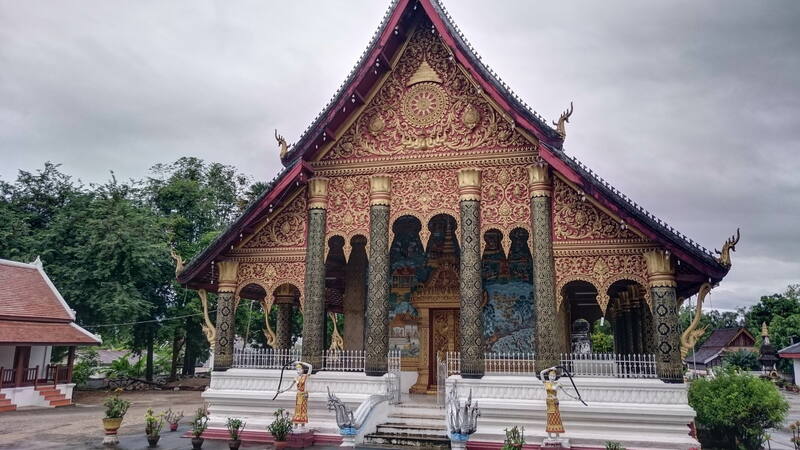 A full day in the ancient royal capital of Laos requires a lot of walking and patience. But it is definitely worth it! I believe the best starting point would be a small side street or a neighborhood outside of the center like Ban That Luang or Ban Mano. It is a favorite place in Luang Prabang. From here, you can enjoy a beautiful panorama of Luang Prabang’s most famous sights – take a bat or the Buddhist Lao monks’ early morning collection of food, which nowadays has become a popular tourist attraction. All the process is observed in silence and everyone, both alms givers and travelers, respects the rules. If you want to participate in this serene ritual, nodding your head if a local person asks you to buy food or participate during the monks walking, it is better to buy rice at the local markets in the early morning. Other familiar locations for many who have never been to the UNESCO City are the Royal Palace Museum – the palace built in 1904 for the Lao royal family during French colonial days, Wat Xieng Thong – one of the most important, beautiful, and architecturally significant wats in all of Laos, Wat Aham – a Buddhist temple with a history of spirit worshipping, Wat Mahathat – Temple of the Great Stupa, etc. You have at least three meals in your one-day itinerary so at least use one of them to grab some amazing Lao traditional food. First of all, I would recommend starting with a typical Luang Prabang breakfast – khao soi – noodle soup topped with minced pork, tomato, chili, and fermented soybeans. For a break during your Laos private tour, why not stop for Lao crushed ice dessert – a mountain of crushed ice and condensed milk and order some baguette. Larb (or larp) – a salad of raw or cooked meats with typical Asian herbs and spices, Sticky Rice with Khai Pen or Chow Bong, tam maak hoong, etc. are other must-try dishes. How to create a memorable experience on your Luang Prabang walking tour? Maybe find an experience that is a little out of the box or different from which everybody does. 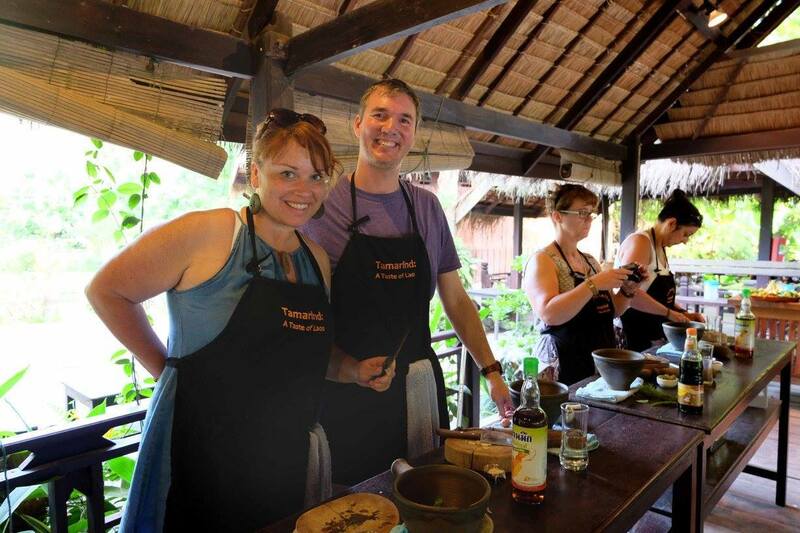 Possible go for a two-hour chat in Luang Prabang at the Big Brother Mouse Project and take part in Lao cooking classes – a gentle introduction to the food and flavors of Laos at Tamarind Restaurant and Cooking School, Bamboo Tree, Indigo Farm, or Traveling Spoon just to name a few. 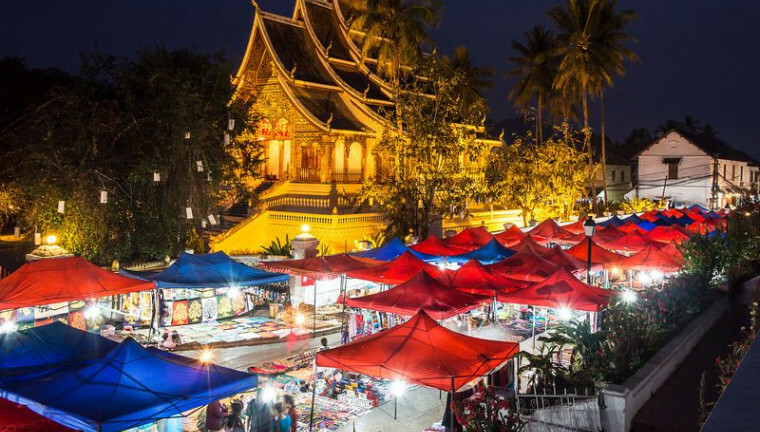 The last but certainly not least item on your one-day Luang Prabang agenda is an evening spent in one of the most popular local shopping areas. If you just want to feel like a Laotian for the night and soak up some of the city’ unique ambiance, spend an hour or so in Luang Prabang Night Market. 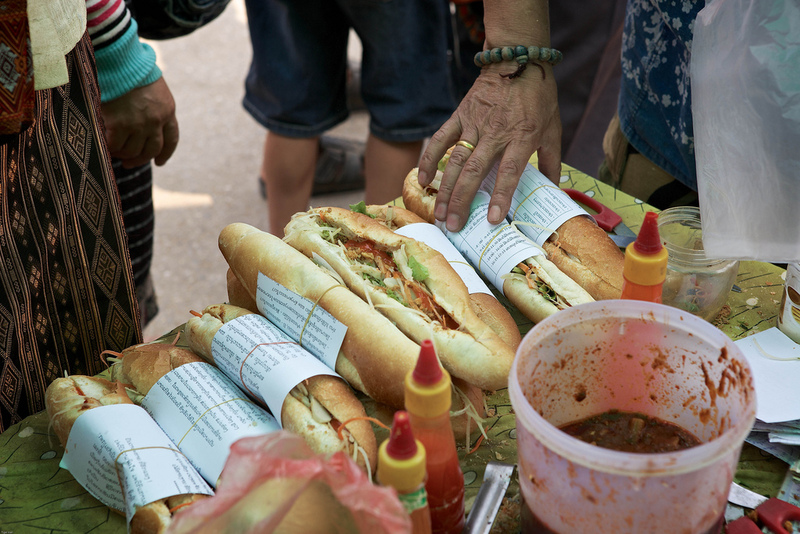 Filled with everything from crafty shops to traditional Lao food joints and more, the largest handicraft market in Laos is a great neighborhood resource to get a good taste of Luang Prabang food culture without the expense of a five-star restaurant. Going to Luang Prabang for just for one day might seem like a stretch, but it is actually a quick journey, and well worth the early start. 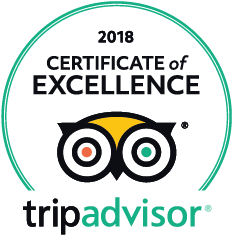 With some of the most famous landmarks, amazing food, and the authentic charm of the Land of A Million Elephants, there is a lot to see, visit, eat, and drink.